Independent Contractor vs. Employee | Accounting Questions, Tax Tips, Personal Finance Topics and More! With today’s technology and ease of communication, employers often hire independent contractors who work remotely – the obvious benefits are cost savings on a number of levels including employment taxes. What determines an Independent Contractor vs Employee? Dave Heistein of Profitwise Accounting, Inc. in San Diego discusses this often murky subject. Dave: At first glance, virtual workers seem like ideal independent contractor situations. However, there are more factors to weigh than simply physical location when determining whether a worker is an employee or an independent contractor. Regardless of what a professional relationship is called, a business has an employee when certain conditions are met. The IRS provides a general rule that independent contractors work without supervision regarding when and how to accomplish specific assignments. The payer in such situations only controls what results are expected from the work. The various states also provide guidance on defining an independent contractor arrangement. An independent contractor basically has a large degree of control over how a job is performed, provides the tools and supplies necessary for a job, and does not receive benefits that are traditionally employee entitlements. Form 1099 is produced annually for an independent contractor indicating the total amount paid for the year. The form is also sent to the federal government. An employee receives Form W-2 annually indicating gross compensation and taxes withheld. Federal law requires employers to deduct certain taxes from employee compensation. No taxes are withheld from payments to independent contractors. Payroll deductions from employee pay include federal income tax liability determined from IRS tables on the wages paid. The other deducted federal payroll taxes are the employee portion of Social Security and Medicare contributions under FICA. Most states and some municipalities require withholding of taxes for their jurisdictions. An employer with workers located in various states is responsible for state taxes and local employment taxes in each locality where employees are present. Payment of employment taxes is the responsibility of an employer. This is true even for taxes that should have been withheld from employees but were not. The IRS will assess back taxes plus penalties on compensation paid by businesses that was improperly classified as contract labor. Such payments are deemed disguised wages. The usual protection of individuals from personal responsibility for obligations of a corporation does not apply to payroll taxes. The IRS may assess a penalty for recovery of unpaid payroll taxes on any person who has authority over the financial decisions of a corporation. This test for individual liability rests upon control over corporate payment obligations, regardless of a person’s business title. Responsible individuals essentially possess the status to knowingly pay other creditors with funds that are reserved for payroll taxes. The IRS may rely upon the income and assets of any responsible individual to satisfy unpaid payroll taxes. In fact, the IRS may pursue several individuals for the same tax assessment. 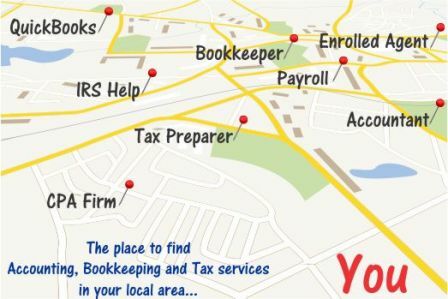 « Bookkeeping and Accounting – what are the differences?